If you’re a San Joaquin homeowner, you probably enjoy the Micke Grove Zoo, the Oak Grove Regional Park, and Lodi Lake Park when the weather is nice. If you’re a business owner, you most definitely understand the importance of keeping residents happy with products and services. West Coast Solar wants you, whether a homeowner or business owner, to make the switch to solar power. Renewable energy helps the environment and it saves you money, benefitting residents and companies in the San Joaquin area. What Will You Save Switching to Solar Power? You will save money if you decide to install solar panels on your home or business. How long will the savings take to happen? It depends on your energy use, the system you decide to install, and if you’re selling excess energy back to your traditional energy service provider or other businesses. One of the bigger benefits of installing a solar system is the Solar Investment Tax Credit (ITC), which offers up to 30 percent tax credit towards your solar system. 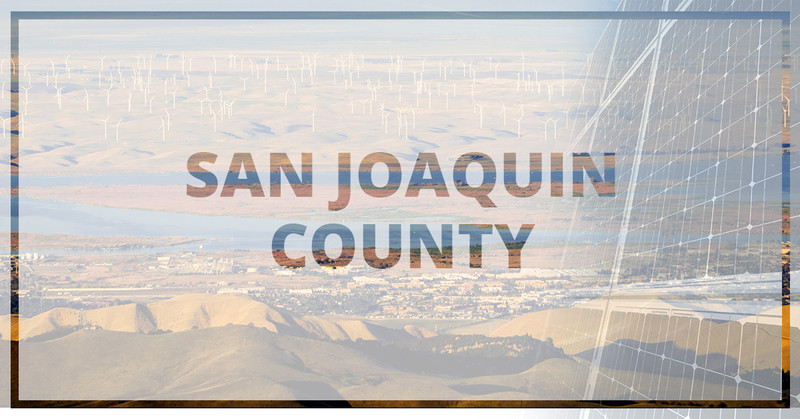 San Joaquin County also offers financing through the PACE (property assessed clean energy) Program for residents and businesses. Do you find it discouraging to see the cost of your utility bill rise every month? You may have already completed a home energy audit to save money, but it only made a small dent in the hundreds of dollars you spend to keep the lights on in your home. So what’s the next step? West Coast Solar wants you to make the switch to solar power. With a solar system, you can generate your own power, and save money on your utility bill. If you’re a company in San Joaquin County, you understand the importance of keeping up with the market. There’s also another market you want to consider diving into: solar power. Do you know how much your business pays annually for energy? If the cost is following the rest of California’s continuous energy costs, you’ve probably already begun looking for energy alternatives. West Coast Solar offers solar power systems to commercial businesses so they can save money, help the environment, and make a positive impact beyond their business on the community. West Coast Solar Serves San Joaquin County! Whether you want to save money on utility bills, help the environment, or find a less expensive energy source, you can achieve it all with solar power. West Coast Solar installs solar panels in San Joaquin County to residents and businesses. Give us a call today to get started on your solar design!